Eight patterns for Toytime Circus all individually packaged. Colours are as close to pattern picture as possible. 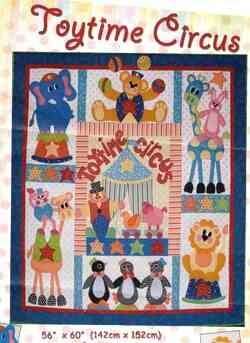 Use your fabrics to make your beautiful Toytime quilt.